Les Divine d'Alsace is an association of female winemakers in Alsace. Besides Agathe Bursin, Melanie Pfister (DahlenHeim), Dominique Schoenheitz (Wihr-au-Val), Veronique Muré (Rouffach), Marie Zusslin (Orschwihr) and Sylvie Spielmann (Bergheim) and many others are among the members. Maybe it's my imagination, but I have never tasted a heavy, sticky or sloppy wine from one of them. 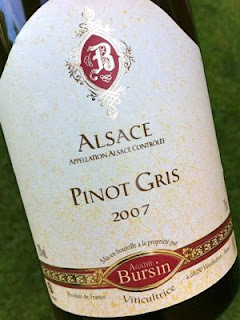 Least of all from Agatha Bursin, who with almost pedantic care makes small masterpieces from all grape varieties.